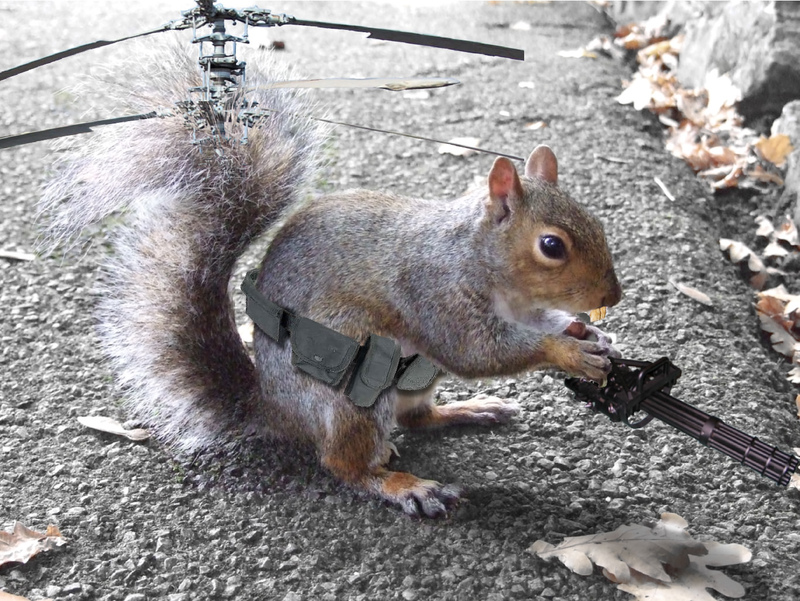 The results for “squirrel helicopter” are a bit of a disappointment. But fixable. We can rebuild him. We have the technology. Better than he was before. Better, stronger, faster. Few things say “keep your hands off my nuts” like a gatling gun. Ok, well, not really. These ones are trained to take school children to school every day, because in Australia, it’s cheaper to ride a kangaroo than it is to take a car. Most Australians don’t even own cars, that’s just propaganda we put out to make us seem as cool as the Americans. I have a kangaroo. I call him Macky. He just ignores me most of the time. Kangaroo transport isn’t as reliable as it sounds. I will say, that is one of the coolest photos I’ve ever had the privilege of taking. That duck was incredibly happy to pose for me. Walked right up, no doubt expecting food, and it came right up for photos. Duck spotted at Lake Aura Vale, Victoria. I drew a bear. Not a very good bear, but a bear nonetheless. I demand that Kevin Rudd and Peter Garrett send me my arts grant immediately! Disclaimer: The bear’s bald spot is not the result of animal abuse or stress. The bear is well taken care of, as evidenced by it’s pudgy little stomach.